Today, I’m going to write about philosophy. I’ll tell you how I interpret the ideas of the sages of the past, and I’ll outline my own views on the subject. In doing so, I’ll describe the battle between what I call Uppers and Downers. This pits people like me, who build our thinking and our world view from the bottom up, against those whose view is top down. It can also be seen as a conflict between individualism and socialism, liberty and tyranny, or reasonable people and troublemakers. I see this as the battle of our times. This is the final essay of a set of twelve, which lay out the foundations of my thinking. I’ll briefly re-cap the main points from my earlier essays. I began with equality. I made the case that all individuals are morally equal, and that all should be politically equal and not subjected to others. I gave my view of justice: the condition in which each individual is treated, over the long run and in the round, as he or she treats others. I discussed rights, which are the same for everyone, and come from our nature. And I put forward the idea that rights and ethical obligations are two sides of the same coin. I introduced Belgian philosopher Frank van Dun’s idea of the convivial order. This is a framework for living, in which people interact without regard to their membership of, or status in, any particular society. I sketched, in outline, a code of convivial conduct, independent of any particular society or culture. Next, I looked at the idea of community among human beings, and found six levels. From the bottom up: The individual. The partnership. The family. The marketplace. Societies. And at the top, the convivial order or convivial community. I focused in on societies, and concluded that many disparate forms of voluntary society can fit within the framework of the convivial order. But when I looked at political societies, I found that we’re living under a centuries old, failed political system, that isn’t compatible with the convivial order. Most – if not all – of the political ideologies it harbours, except for Enlightenment liberalism, are destructive in their effects. And the sham called democracy, far from helping, tends to make things worse. I looked at how we seek knowledge, and I looked in particular at science. Science is a method for discovering knowledge, but only if it is done honestly and without bias. Lastly, I looked at the environmentalist agenda. I uncovered its corruption of the precautionary principle, and inversion of the burden of proof. And I revealed a mind set, common among greens and their cohorts. They want to impose their agendas on everyone through government power. And they show little or no interest in ethical behaviour, personal responsibility, truth or reason. Western philosophy springs from ancient Greece. Much of it has its origin in the ideas of Aristotle and his teacher Plato. Philosophy is divided into a number of branches, which have been given daunting Greek names like Epistemology, Ethics and Politics. Several of my friends have been influenced by the Russian born American thinker Ayn Rand. And I’ve known a number of devotees of her philosophy, which she called Objectivism. But I’m not myself a Randian. Indeed, I’ve found some of her disciples a bit nutty. I’m also unimpressed that her followers have sought to make her philosophy into a closed system; like a church whose dogma may not be changed or even questioned. Nonetheless, I do think Rand had some good ideas. In particular, she took five of the branches of ancient Greek philosophy, and arranged them like a layer cake, in which each layer builds on the ones below it. I think this model is very good; though I’m not sure how much of it was original with Rand. Beyond Rand, I’ve also been influenced by some of the ideas of an apostate former Randian, whose pen name is Jason Alexander. In Rand’s model, the lowest layer is Metaphysics. Its subject matter is the nature of reality. Next comes Epistemology. This is about how we know what we know, and how we learn it. Third is Ethics, which is about how we as individuals should act, and the nature of right and wrong. Fourth comes Politics, which Jason Alexander has re-interpreted as Civilization. This is, or ought to be, about the institutions we should build to enable people to live together in a convivial manner. When done right, the result will be order. That is, Frank van Dun’s convivial order. The fifth and highest layer was originally known as Aesthetics, and was about beauty and art. But clearly, it’s a lot more than that. Jason Alexander, rightly I think, has named it Creativity. I regard this layer as being about how we should use our natural creativity to maximum effect. Thus I include in it, not only beauty and art, but also business and other ways in which individuals, and associations of individuals, can bring benefit to each other. 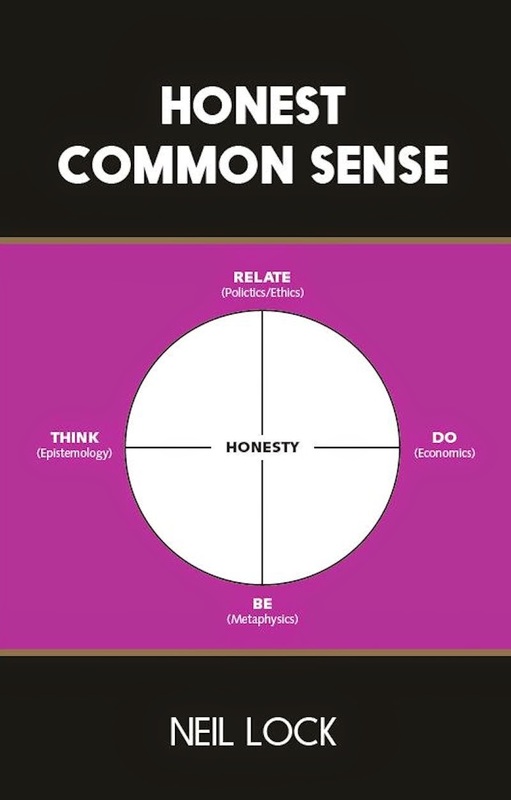 I call my philosophical system Honest Common Sense. Four years ago, I wrote and self published a short book describing it. But unlike Objectivists, I regard any system of ideas as always provisional. Any philosophy worth the name must be able to evolve, and to absorb new ideas and new understandings. And my own system, over the last four years, has done just that. I now base my system more closely on the five-layer model of Ayn Rand and Jason Alexander. But I add a condition that the hierarchy must be strict; each layer must build on those below it, not depend on the layers above it. You can only work upwards through the layers, never downwards. So, half tongue in cheek, I now give my system an alternative label: Upperism. In particular (and contrary to what I said in the book), I now see that you can’t build a decent civilization unless and until individuals relate to each other according to a decent ethics. And you can’t make creativity work fully until you have built a workable civilization to underpin it. I’ll start with the bottom layer, Metaphysics. The difficulty here is that there is no direct access to this layer through our senses. As Werner Heisenberg put it: “What we observe is not nature itself, but nature exposed to our method of questioning.” Because of this, nothing in metaphysics can be proved. Ideas can only be judged by the conclusions they lead to in higher layers. Here’s my take on the physical sub-layer. There is only one reality, even though different individuals have differing views of it. Although many statements can’t be easily tested for truth or falsehood, and some are neither true nor false, truth exists and is objective. And that is so even when particular truths are unknown, or poorly understood, or wrongly apprehended, either by one individual or by many. As an Upper, I find the idea that truth is objective to be key. And I contrast it with Downer ideas such as that truth is relative to a culture, or that there are no facts. As to humanity, Jason Alexander calls us “the Identity who Identifies.” We certainly are that; we are seekers of truth. But, in addition, we are individuals. We have free will. We are moral agents. It is in our nature to behave convivially, to form societies, to build civilization, and to be creative. And for Uppers like me, humans are naturally good, even though some among us fail to develop that nature. This I contrast with Downer notions like the doctrine of original sin, or the idea that we are a blight on the planet. As to the big picture, many hold this to be the province of religion. But for me, religion isn’t amenable to reason. And therefore the only sane attitude to it is tolerance towards those who offer similar tolerance in return. Uppers generally see religion as a personal choice, and accept that some have different religions from their own. Downers, in contrast, often slavishly parrot someone else’s religion. And many of them like to proselytize, or to persecute heretics. The layer called Epistemology is about how we use our minds to seek understanding and identify truths. Truths can be physical or scientific; or they can be ethical, political or (rarely) aesthetic. We build, inside our minds, a picture or model of reality in the area of interest. The way I see it is that, from our sensory experiences, we build up specific thoughts (percepts), then generalize them into more abstract thoughts (concepts). We use logic to combine concepts into a bigger picture. As part of this process, we use our reason to check the results of our thinking against reality, either by testing them, or comparing them with what we already know. And when our model has successfully been through this validation process, we regard its conclusions as provisionally true, and add them to our store of knowledge. We can regard such knowledge as being true, until new evidence leads us to re-examine it. Uppers seek, whenever possible, to understand the facts of an issue. In contrast, Downers usually start with a narrative, which may or may not correspond to reality. More often than not, their narrative is a pessimistic one. They rarely miss an opportunity to hype a problem. And they are often reluctant to change their narrative, even when the facts contradict it. Those that continue to spew out such a narrative in the face of the facts are, to say the least, mendacious. Many people think of ethical principles as intimately associated with religion. And, in particular, with the Judaeo-Christian Ten Commandments. But I disagree. I see it as perfectly feasible to set out and to follow a code of ethical obligations, without needing to subscribe to any one religion. In my view, there is a core of ethical principles, which arise from our nature as convivial beings. I equate this core with Frank van Dun’s “laws of conviviality.” For me, Man is not a political animal as Aristotle had it, but a convivial animal. For more on my ethical ideas, I refer you to my earlier essays on Rights and Convivial Conduct. But I still have a lot of work to do in this area. Here too, there’s a big difference between Uppers and Downers. Most Uppers think of right and wrong as objective. In difficult or borderline cases, they generally do what they perceive as being right. Uppers know that they are individuals, and that others are too. Further, they apply their ideas of right and wrong to their own actions, as well as to the actions of others. They accept responsibility for the effects on others of their own voluntary actions. They are peaceful, unless attacked. And they value human rights. Uppers, therefore, usually behave reasonably (occasional lapses notwithstanding). And they seek to behave with honesty, with integrity, and with empathy towards those who deserve it. Many Downers, on the other hand, seem to think – in post-modern fashion – that right and wrong are not objective, but relative to some particular culture. They like to make trouble for others. They condone violence, or other violations of rights, when it suits their interests. And they show little or no sense of personal responsibility. They often tell us that “we” (whatever that means) must take some action; yet they themselves fail to do, or even to contribute to, any such action. Or they condemn those who do something, yet themselves do that same thing and continue to do it. So, many Downers habitually act in bad faith, make trouble, and behave as hypocrites. Civilization is a framework for living. In contrast to today’s failed political societies, I favour a framework based on Frank van Dun’s convivial order. And the main purpose of the institutions of civilization must be to deliver justice. By that, I mean objective, individual justice; in which each of us is treated, as far as practicable, as he or she treats others. For me, all the functions of any decent system of government – which I have listed as the maintenance of peace, just resolution of disputes and defence of rights – are aspects of this justice. I see government as like a referee or umpire. It keeps the game of life flowing, and holds those who cause damage to others responsible for their own share of that damage. It has no “will,” and no political ideology. For more about my views on this subject, please see my earlier essays, and in particular those on Justice, Rights and Societies. As with the lower layers, there’s a big difference between Uppers and Downers in their views of justice and of what government is for. Uppers want the minimum of government, consistent with the maintenance of peace and objective justice. They want low taxes and an economic free market. And they see violence or war, except in self defence, as anathema. A de-politicized framework for convivial living, I expect, will enable not only world-wide peace, but also a flowering of human creativity. Not just in writing, art, music and the like; but also in the economy. In my essays so far, I have deliberately refrained from writing about economic matters. I haven’t discussed business, the free market, capitalism, or what flows from them. I plan to rectify that in the future. But I’ll give a taster here. In a civilization which maintains peace and justice and defends the rights of every individual, each of us will be free to make of our creativity what we can. We may choose to work on our own to deliver things people want, or to work in teams to deliver them. We may seek to add to human knowledge. We may seek to solve problems, and to open up new opportunities. We may develop, or help to develop, new ideas and technologies. We may seek to improve human capabilities through education and good teaching. Or, closer to home, we may focus on helping and supporting those who devote their efforts to any of these things. In summary, each of us will create as much wealth and well-being as we can. We will build a better world. And each of us will enjoy all the rewards we earn. I’m an unabashed, unashamed, unmitigated Upper. In particular, for me, thinking must be based on reality, and politics on ethics. But among us today there are many adherents of the opposite way of thinking, which I dub Downerism. The most virulent Downers have a vision of how things should be; but they don’t want to build their dreams from the bottom up. Instead, they formulate a political agenda, then seek to impose it on others. Some of these agendas are obviously evil and tyrannical. For example: a world ruled over by communism, a world without Jews or non-Aryan races, or a country without a middle class. Even agendas that are not obviously so evil can lead to harmful policies and violation of rights. For example: war on drugs, reducing obesity, or sustainable development. And even a good sounding agenda, like eliminating poverty or preserving wildlife, can still cause much harm to innocent people if badly executed. So, instead of living in a climate in which we can unleash our creativity, we are subjected today to the bad agendas of Downers. Those that have such agendas will seek political power in order to get them implemented. They will join other Downers that also seek power, but for a different reason; to enrich themselves and their buddies. Today’s politics and party system are magnets for Downers of both types. Thus, virtually all politicians today are Downers. As are the corporate cronies that hang off their coat-tails. And democracy is useless to us; for how can any Downer possibly “represent” us Uppers? So, instead of living in a just civilization, we are ruled over by bad and unjust politics. Political governments make laws. Such laws have no direct link to the code of convivial conduct. They often violate the rights of innocent people. And they require enforcement. So, the ranks of Downers swell with armies of bureaucrats and other enforcers. And the worst of them use their power to make trouble for people. So, instead of conviviality, we suffer bad laws and hassles. Any such system requires propaganda to sustain it. The Downers in the media, and their hangers-on like “celebrities,” oblige. Thus we find ourselves suffocating in a mental atmosphere of lies, deceptions, fake or misleading news, and hype. We are bombarded with an incessant stream of politically correct narrative, which makes it hard for many people to identify facts and truth. At the bottom of the pyramid, the foot soldiers of Downerism operate on faith. Some of them fail to detect the propaganda in the narrative. Some of them think that laws are right, just because some bunch of politicians made them. Some of them feel an attachment to the politics of a particular nation. Some of them are taken in by a particular agenda or agendas. But all of them are Downers; and so, all of them are a down on us. As long as they are blind to reality and to right and wrong, they are a drain on, and a danger to, us and our human civilization. The battle of our times isn’t between the political right and left, but between Uppers and Downers. Uppers are naturally peaceful, respect facts, are tolerant of difference, and try to behave reasonably and with empathy, honesty, and integrity. They want minimal government and objective justice. And they want to build a better world for all good people. Downers, on the other hand, are intolerant. They want to impose their agendas on others through bad laws and taxation. And they see nothing wrong in violence or war when it suits them. Moreover, they disdain facts in favour of narrative and propaganda. And they often lie, hype problems, act in bad faith, or behave as hypocrites.